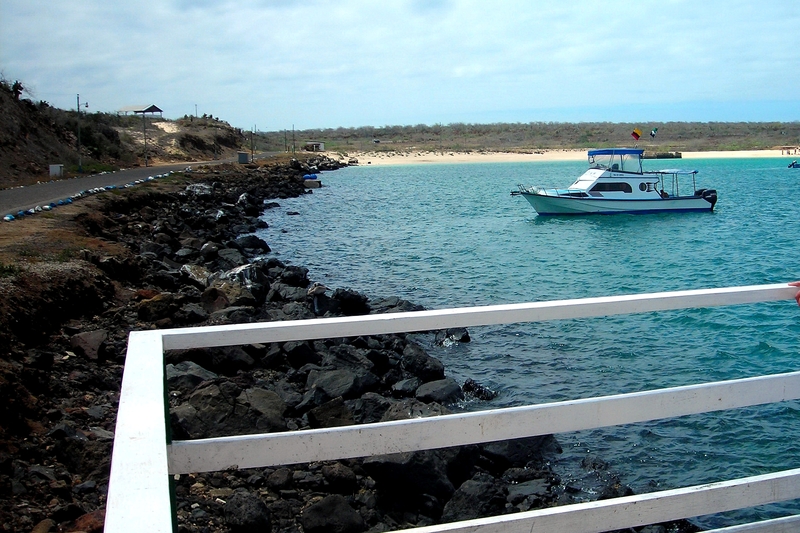 This might be the first picture I took in the Galápagos; I was admiring the coastline in Baltra as we waited to board our ship, the Coral I, for our week-long tour of the islands. Baltra, being flat and centrally located, has the islands’ main airport. The island, also known as South Seymour, was a US military base in WWII and now is an Ecuadorian military base. It is also home to a successfully re-introduced colony of land iguanas.